It’s difficult to refute the idea that being able to read fluently and grasp key ideas within a book or text will help a child be successful in their learning. The challenge for many schools is moving beyond the obvious logic to the systematic and rich development of reading. The teaching of phonics is a start. Although children come to school with a difference in their knowledge of letters and their corresponding sounds, some may be able to read a number of words, the gap between those from more advantaged or disadvantaged backgrounds is relatively small. Post phonics, children from more advantaged backgrounds tend to accelerate as their extended vocabulary, acquired at home, allows them to access and understand texts more readily. There are a number of reading comprehension strategies – inferring meaning from context; identifying key points; developing questioning strategies and monitoring their own understanding – that are useful to teach. However, comprehending a text requires children to be able to “read between the lines”; that is, to have the background knowledge, the knowledge in the author’s mind, which s/he used when writing the piece. Where are Stephen and Cath thinking of going on holiday? When can Stephen & Cath go? Why did Stephen and Cath decide not to go? The first two questions can be answered by retrieving information from the short passage above; many pupils are able to do this even if they don’t know what a fjord is. The third one can’t; the reader would need to understand that during January it is dark pretty much all day and so Stephen & Cath would see very little of the fjords. Some readers may think that in winter the fjords would be frozen so access would be limited. However, the fjords don’t tend to be due to the warming effect of the gulf stream. Science and Geography both have a significant part to play in understanding the passage above. The problem often comes as our hyper-accountability system can push some primary school’s curriculum towards a more limited diet aimed at success in the end of Key Stage 2 SATs. The very subjects that would support reading – Science, Geography, History, Religious Education and the Arts – can be squeezed out or given very limited time. The most pernicious and unjust impact of the current accountability system is experienced by those schools serving our most disadvantaged communities; the narrowing of their curriculum can be greatest. These schools often have to put additional time and effort into securing the basics of literacy and numeracy as well as the extra challenges of safeguarding and enhanced pastoral care that is required. In our zero tolerance accountability system the disadvantaged can easily become more disadvantaged. Time for reading and what is read can vary massively between primary schools and across classes within the same school; outside of English it can be pretty much non-existent in Key Stage 3. In Key Stage 2, class readers where they exist can consist of the same two or three authors and be exclusively fiction based. There is a strong argument for central co-ordination of a school’s reading programme; what some schools refer to as a literary canon. At Key Stage 3, there is the challenge of finding bespoke time for reading. Given the potential benefits, we shortened lessons at St. Mary’s by ten minutes in September 2018 (we had 100 minute lessons) to introduce a thirty minute daily reading period with form tutors. We now have a list of just under fifty books all pupils will read, from the middle of Year 2 to the middle of Year 10, if they attend the primary and secondary schools in the Trust. Nothing on this scale should ever be introduced without a clear idea of how the impact will be evaluated; sadly the reverse is so often the case. As part of the evaluation of the reading programme we will be using a suite of standardised assessments from GL – the New Group Reading Test, the Progress tests in English and the Pupil Attitude to Self and School – to help us judge whether the programme is having the required impact. 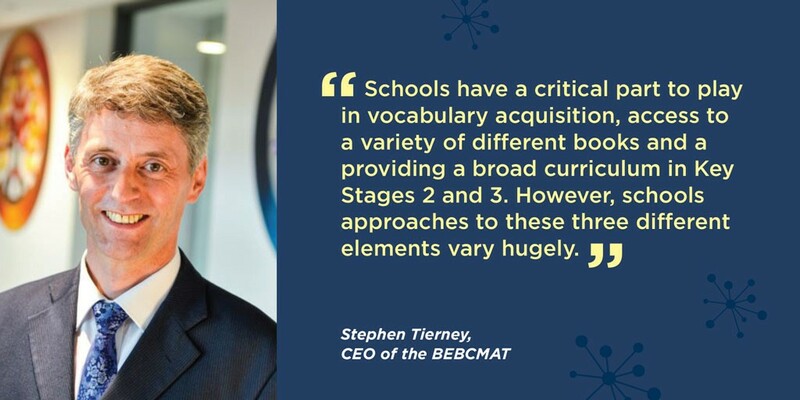 To get better at reading you need to read more; what you read matters as does the breadth of the curriculum and the explicit teaching of tier 2 and 3 vocabulary. A focus on reading isn’t an event rather a staged, well thought through and well implemented multi-year development for any school. 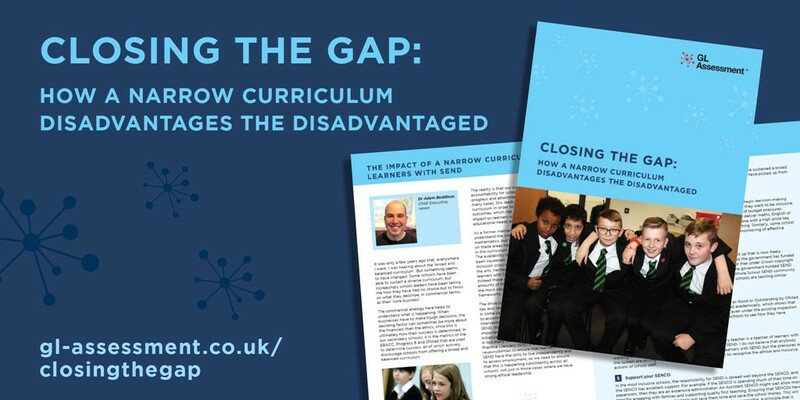 The blog above is a copy of the article I wrote for GL Assessment’s publication, Closing the Gap; a full copy of the publication is available here.